Turmeric as a spice is known in its fresh root or ground powder form. As a plant, however, all its parts are edible, from the flowers (as a vegetable) to the leaves (to make a wrap). It belongs to the ginger family and has a pepper-like aroma and bitter flavour. 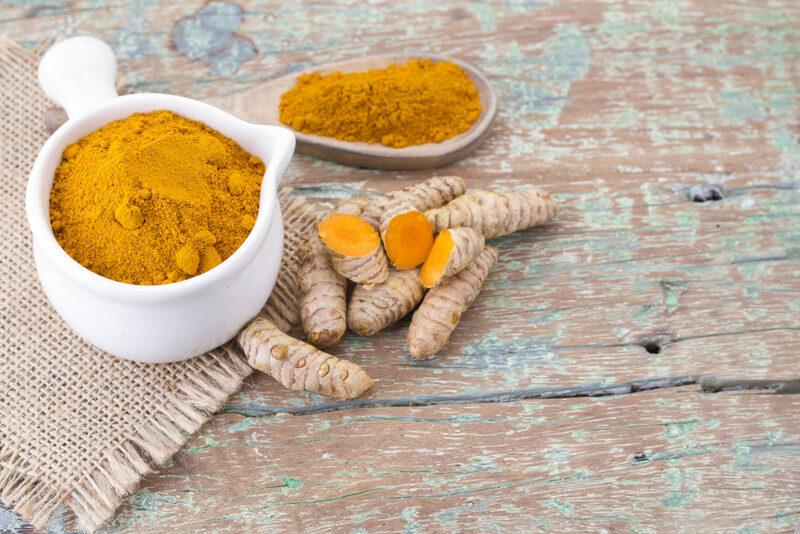 It is an essential ingredient in curries, but you can also enjoy its amazing benefits, which are produced from very small quantities in hot beverages (try a warming turmeric tea or latte) and smoothies. And don’t forget to include it when making a natural body scrub or face mask for glowing skin. Although the tropical plant (botanical name Curcuma longa) mostly grows in South Asia, you can plant your own turmeric and add a lush and exotic look to your home. Fill pots with rich organic soil and insert root cuttings (called rhizomes) about 5cm under the surface with a couple of buds facing up. The plant thrives on heat and moisture, so keep it in a conservatory or on a sunny windowsill and water regularly. Turmeric roots mature in eight to 10 months and can then be harvested and boiled, left to dry, peeled and ground. More than a spice, turmeric is revered in both Hinduism and Buddhism and used for devotional purposes. Being associated with fertility, luck and the sun, it is often a gift for pregnant women – and turmeric paste is also traditionally applied to a bride’s skin as part of a ritual purification before her wedding. So, not only is it a culinary treat with healing properties, but turmeric can also be considered auspicious and sacred.